Plumbing problems don’t seem to be as perplexing as other household repairs. A clogged toilet can be fixed using a plunger without requiring much technical know-how. There aren’t as many hazards either, so no special safety equipment is required. Here are a few common plumbing problems that might seem easy to fix but getting the help of a plumbing repair service will make the job much more efficient and fast. It may not be the worst plumbing problem, but it definitely is the most annoying. Leaking faucets waste water and drive your water bill up. The underlying cause behind a dripping faucet is usually a torn washer. Water flowing through pipes is under a lot of pressure. Upon closing the tap, the water is stopped by water-tight rubber washers that prevent it from flowing further. Overtime, the washers may degrade and suffer from tears, resulting in that annoying drip. While rubber washers are easier to replace, ceramic taps can be much harder as they use ceramic plates that join to form a water-tight seal. 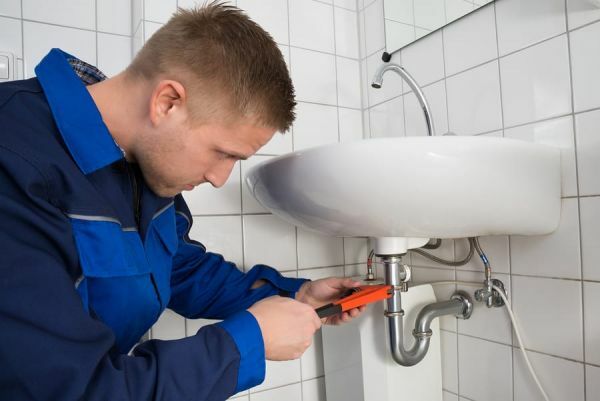 If you are unsure of what you have in your home or business it might be a good idea to call a professional plumbing service that can do the job for you. If water doesn’t stop flowing even after you’ve flushed, it might be time to get help of a plumbing service. The flush box contains a flapper valve that allows water to flow once the float accumulates enough water pressure underneath. The cause of your running toilet could either be an improperly fitted flapper valve or a loose fill tube or an unbalanced float. In either way, it can be easily repaired by a professional plumbing service. On the other hand, a silent leak might not be as easy to detect since there’s no indication of the toilet running. In case you suspect one, a good way to test for a leak is to add a little coloring to the tank. If the color shows up in the bowl after 20minutes, it might be time to contact a plumbing repair service. Low water pressure may occur due to several reasons. Water contains dissolved minerals such as calcium that tend to deposit on the inner surface of your pipes. Overtime, these deposits could impede the flow of water. A filtration system such as the aerator on kitchen faucets can collect these deposits, preventing them from building up. Leaking pipes can be another reason for low water pressure as they wouldn’t allow the pressure to buildup within the pipes. Tracing a leak can be quite difficult and require expertise to locate the pipes within your home or office. It is possible that the problem isn’t at your end in the first place; there might be a leak in the mainline that brings the water from the city to your house. If your water heater runs out of hot water faster than it used to, or just doesn’t hold enough hot water to meet the demands of your household, then it’s probably time to consider getting a new hot water heater. And if you want to enjoy the luxury of endless hot water, then you should really consider a tankless water heater. Tankless water heaters will save you money on your utility bills, will reduce your overall water usage, and will end the needless arguments over who used all the hot water. Call today to learn more about our Memphis tankless water heater installation services. While these three problems are easy to rectify, most plumbing repair jobs require complex knowledge and skills to locate the root cause. Memphis HVAC and Plumbing is the premier plumbing contractor in the Memphis area with several years of experience and a professional attitude.